Another long sandy stretch but as there are no cliffs it has many point of easy access by road. 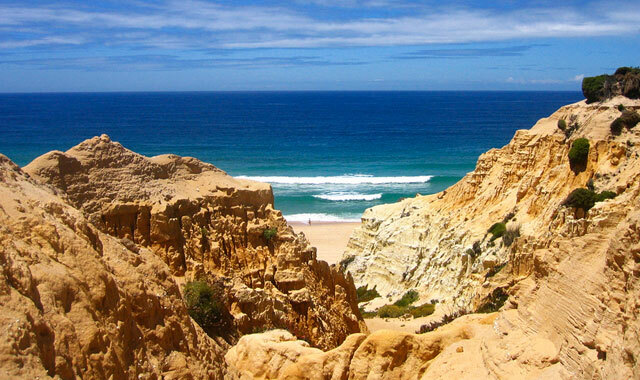 This beach is located to the west of Albufeira and runs round the Bay of Armação de Pera to the town. Access: There is a tarmac road signposted to the beach from the road connecting Guia to Galé. There is a fairly large but disorganised parking area at Galé Oeste, 200 metres from the beach, and a large but organised car park at Galé Leste, 100 metres from the beach, as well as a very small parking area near the beach itself. The beach has basic support facilities (restaurants and toilets) and is supervised during the bathing season, both at Galé Oeste and at Galé Leste. 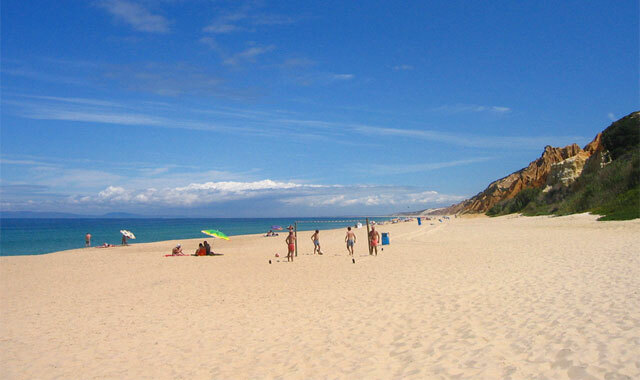 Galé Leste is classified as an accessible beach. The beach faces South-West.